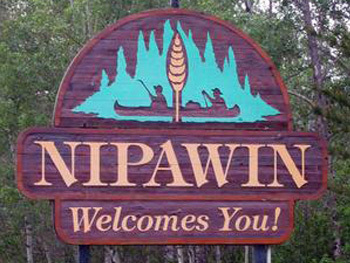 The town of Nipawin lies between Codette Lake and Tobin Lake. It was created by the construction of EB Campbell Dam in 1963. Come and discover Nipawin and surrounding areas. Situated in North East Saskatchewan, our city is a community of friendly people, who can boast of beautiful lakes, forests, and the mighty Saskatchewan River. Enjoy trophy fishing, golfing, hunting, snowmobiling, and skiing. Our town is located along the Trans-Canada Snowmobile Trail, and there are many other groomed trails that run around Nipawin near our Inn and RV Park, along with snowmobile rallies. We are a full service community offering restaurants, grocery stores, retail shopping for anything you may need during your stay, and tons of entertainment. The city is 140km from Prince Albert, 280 km from Saskatoon, and 380 km from Regina. We have one of the best 18-hole golf courses in Saskatchewan, and it's just a few kilometers from our front door. Stay with us at Nipawin Motor Inn & RV Park for a chance to get involved with all of these local activities and more. We look forward to making your stay with us convenient, comfortable, and memorable.